Diane Robinson is the practice manager at Rheumatology Care Center (RCC). Her responsibilities include oversight of billing, collections, financial reporting, human resources, and customer service. As administrator for RCC, she assures the efficiency and stability of the medical office operation. Diane worked over 10 years in customer support for a fortune 500 company before choosing to stay home with her two young children. After her youngest child started school, Diane returned to work, part-time, as the assistant to the director of a three-clinic podiatry practice. It was there that she became interested in how a medical practice runs and, during the 5 years she worked there, began to develop the skills necessary to move into practice management. Diane was eager to join Dr. Perkins and her team knowing that this would be the job to take her into retirement. She began her new job on October 10, 2011 and is certain that this is the place for her. Her love of spreadsheets and analytical reports goes unmatched. She is driven by top notch customer service goals and the rewards of patient advocacy. Overall, Diane brings diverse business experiences and ideas that will help the team attain their ultimate goal of providing exceptional medical care. of Arts in mass communications. Diane currently resides in historical Avondale, Alabama . She likes going to the movies and concerts. Amber McGuire works full-time at Rheumatology Care Center as Dr. Kelmenson’s certified medical assistant. Amber joined RCC in July 2015. 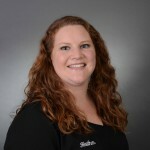 She has been in the healthcare field since 2009 in primary care and understands the patient experience from the front office to the back office. Amber grew up in Brookwood, Alabama and graduated from Shelton State Community College with an associate degree in medical records. In 2015, she received her CMA license through Auburn University. She enjoys baking, watching football with family and friends, and her dogs. She is an animal lover and cherishes time with her four rescues. Amber enjoys being a part of the RCC team and works hard on getting medications approved since she understands how hard it is to access Rheumatology treatment. She understands how new treatments and injections can be intimidating and appreciates making shots easier and gentler for patients. She looks forward to helping patients in any way possible and giving them a good experience at RCC. Heather Vande Voorde works full-time at Rheumatology Care Center as Dr. Perkins’ medical assistant. She works closely with Dr. Perkins to ensure that patients are getting the care they need. In addition to assisting with clinic visits, Heather helps schedule additional testing, obtains approval for specialty medications, and answers patient questions. Originally from Illinois, Heather got a degree in Medical Assisting Technology from Hamilton Technical College in Davenport, Iowa. She has began working at Rheumatology Care Center in February, 2010 and after a 3 year move she is back where she belongs. Heather is married and has two beautiful and fun little girls. She treasures time with her family and friends. Heather is in the healthcare field because it is her passion to care for and help others.